All musical instruments appeal to the ones associated with the world of music. But music without a piano does not seem complete. It reigns as the supreme among the entire musical instruments. Playing a piano is a daunting task. It requires years of practice to become a fine pianist. The sound which a piano produces depends upon the quality of materials it is made up with. Due to low depreciation of this instrument and because a well maintained piano can go for a lifelong span, the price of pianos are the highest among all musical instruments. 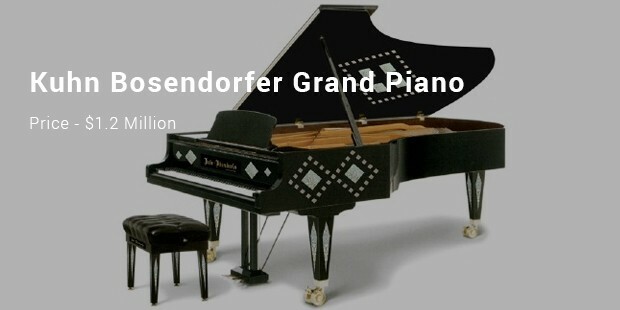 Following is the compilation of a few most expensive pianos in the world. 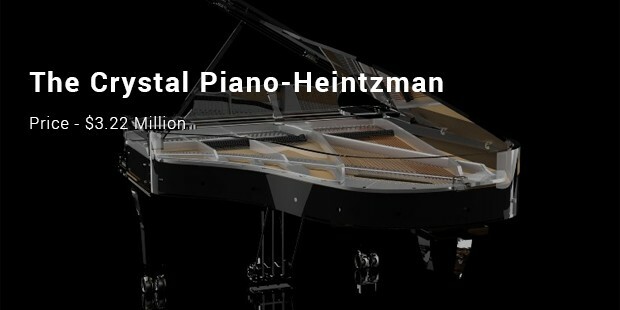 This nine foot piano was built and designed by Heitzman Pianos. It was played by Chinese pianist Lang Lang in the opening ceremony of the Beijing Olympic Games in the year 2008. 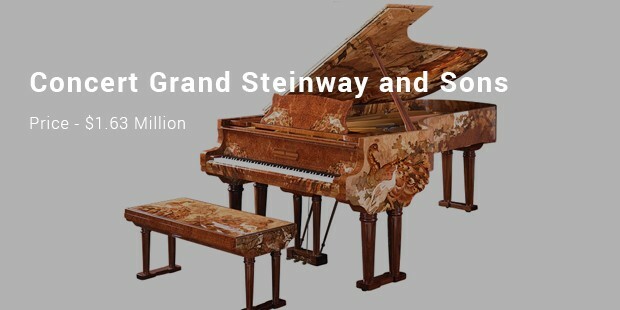 This piano has set a record for being the most expensive in the world. It was made to meet the demands for a large scale concert. 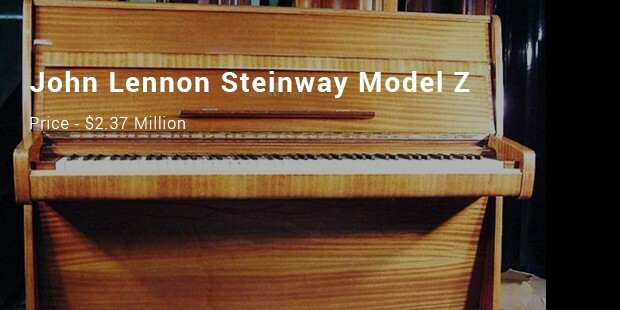 The Steinway model z piano on which John Lennon wrote the song “Imagine” is recently owned by George Michael. In December 1970, Lennon purchased the piano and sent it home in Berkshire. In 1971, he wrote and recorded the song using the piano and he played the song to his wife. The song went on for 4 weeks. 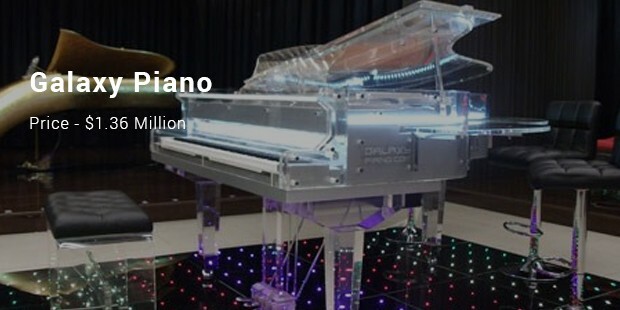 This piano is considered as the second most expensive piano in the world. 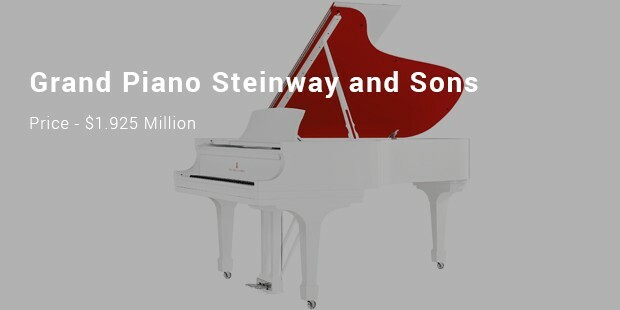 Preferred and modified by Marc Newson and Jony Ive for the red auction in 2013, this piano is a unique piece and is designed including the custom grouping of red and white along with nickel hardware, silver plate and special decal on the soundboard. It was regarded as the third most costly piano. Thus purchasing an expensive piano will serve your musical career for a life time. It can be maintained with less effort and hence it does not pinch much to invest a huge sum in such luxurious pianos. Besides this, owning such a huge instrument is a matter of pride and the skill can be passed on for generations.